So, Andrew has continued with the kitchen lighting project this weekend, but to do that, had to take the ceiling out of our pantry to run the wiring. 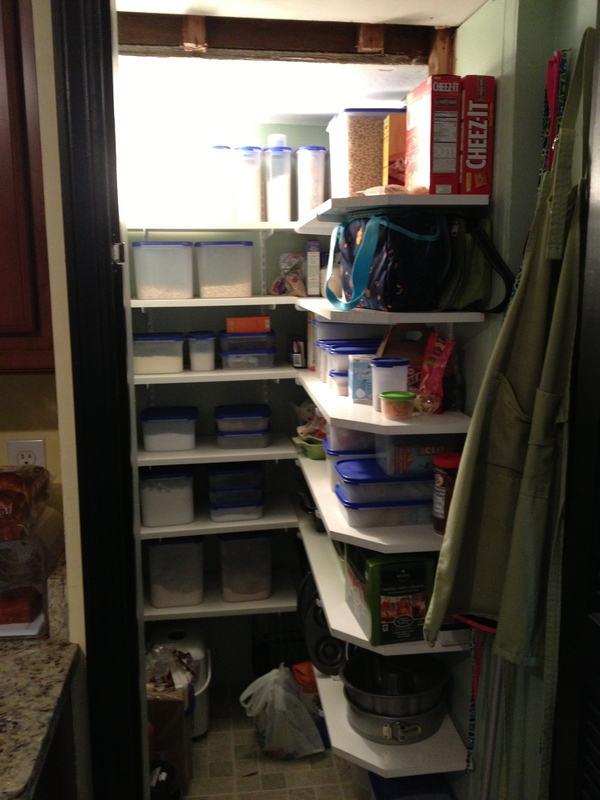 And that, of course, calls for a complete pantry re-do. Obviously. The bright blob in the upper left is the light. We’re going to be doing recessed lighting–that’s Andrew’s specialty–and attempting to get a little more space by taking the room down to the studs (hmm…sounds like the laundry room, huh?) and reconfiguring the shelving. 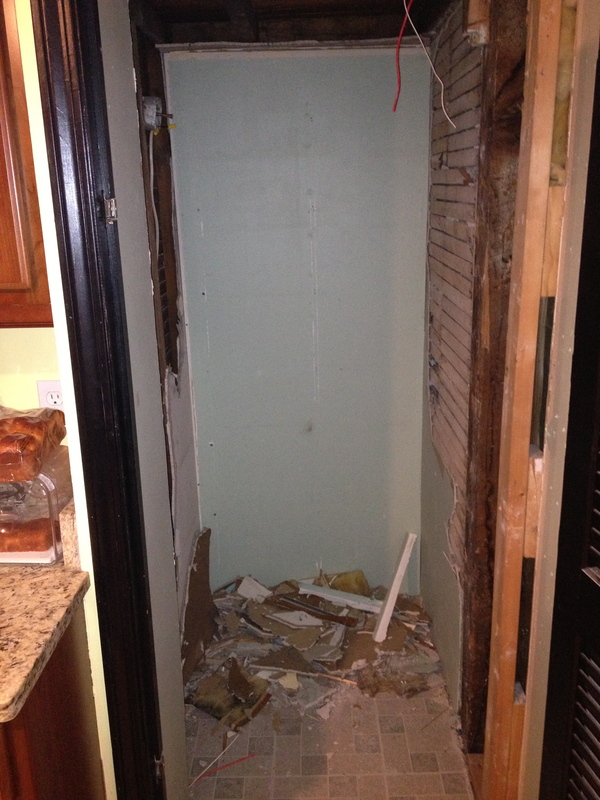 He’ll also be bringing the existing kitchen tile into the pantry, like it should have already. 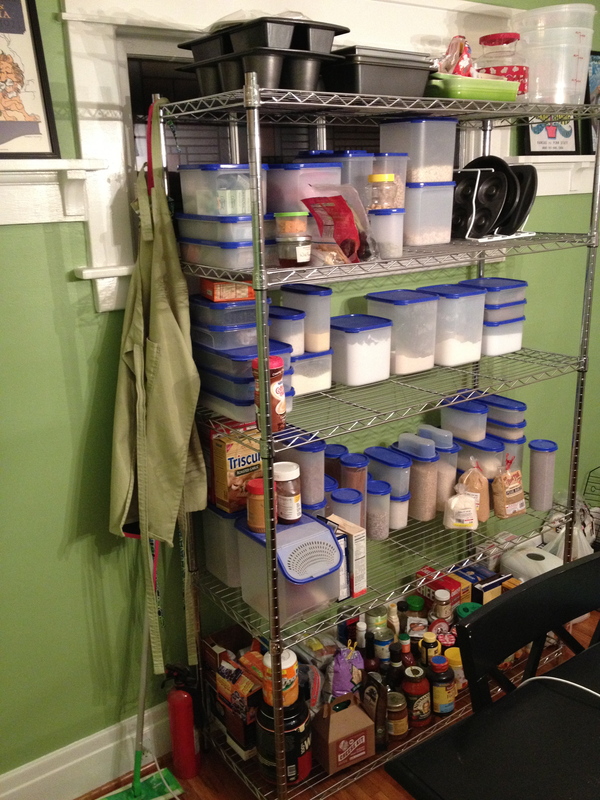 I’ll admit, there really wasn’t anything wrong with the pantry; in fact, I’m lucky to even have one in an older home. But, in true Andrew fashion, shortly after moving in he was peering into the space with that ‘how can I improve this’ look on his face. And, my husband was kind enough to bring up and assemble one of the chrome shelves we’d had sitting in the basement. Organization has now returned to my life. Posted on March 3, 2013 March 18, 2016 by thehealthypineapplePosted in Home & GardenTagged house projects.